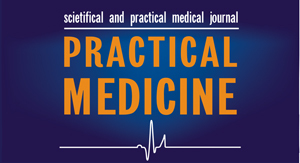 Practical Medicine is a peer-reviewed special purpose research and practice journal for a wide range of doctors and research workers. The journal is published since 2003. 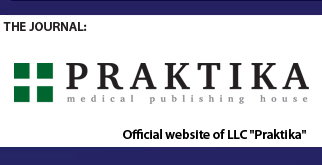 The founders of the journal are the State budget institution of further education “Kazan State Medical Academy” of the Ministry of Health of Russian Federation and medical publishing house Praktika LLC specializing in medical publishing for 14 years. 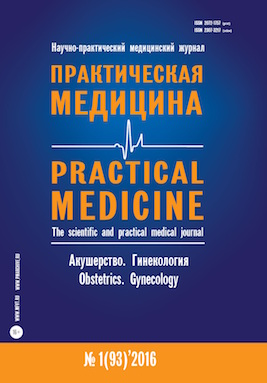 The sphere of the Journal reflects the topical issues of clinical medicine: obstetrics and gynecology, pediatrics, surgery, neurology, cardiology, gastroenterology, etc. Since the beginning, the Editorial Board chose the format of monothematic issues (or combination of adjacent areas) for the maximally thorough and specialized elaboration of each area. Moreover, the Editorial Board considers it to be its task to actively distribute and promote the Journal amongst the specialized doctors’ communities. Thus, the specialists have an opportunity to receive both the print and digital copies of the Journal containing the concentrated selection of materials in the area of their interests. This, in our opinion, enhances the maximal practical value of the Journal. 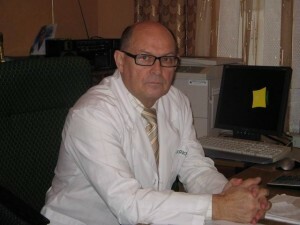 The main objective for the founders is publication of literature reviews and lectures about actual problems of medical science and practice, as well as original articles based on researches, which contributes to growth of professional level of practicing physicians. 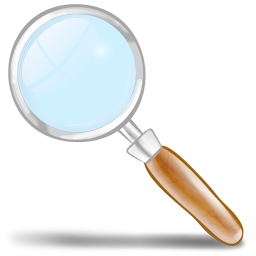 In addition, the journal also provides information about new investigations in the field of drug treatment of different diseases, materials from the manufacturers of drugs and medical equipment. 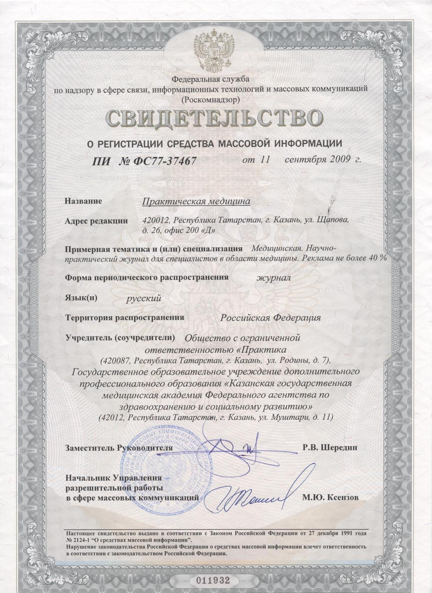 All advertised drugs, pharmaceutical related products, and medical equipment have registration certificates and certificates of conformity. 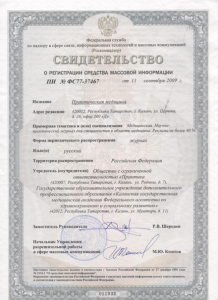 Writers of the articles are top-level scientists, young professionals and practicing physicians of health care institutions in Russian Federation and CIS countries. Since 2008 the chief editor of the journal is Stanislav Maltsev, Doctor of Medical Science, professor, associate member of Academy of Sciences of the Republic of Tatarstan (AST), chairman of the board of the Union of Pediatricians of Russia. 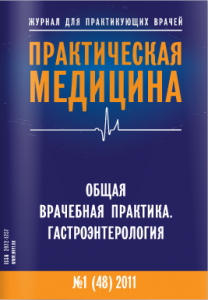 Practical Medicine journal entered the new edition (25.05.2012) of the list of top peer-reviewed scientific journals recommended by Higher Attestation Commission of the Russian Federation for publication of materials of thesis works. During the year editors prepare 6-8 topic based editions of more than 3000 copies. The journal is distributed to a wide range of practitioners on specialized exhibitions, thematic events, in specialized medical preventive institutions through address delivery and subscriptions. One of the journal issues is in the form of electronic book.